This talk will explore the way Zionists grappled with the issue of conversion to and from Judaism during the formative years of the Zionist movement and the early state of Israel. What role did conversion play in developing a definition of Jewishness as it related to religion, ethnicity, and after the establishment of Israel, citizenship? Zionists did not have a uniform answer to this question, and we will examine some key examples and junctures where this enduring question came to the fore in dramatic ways. 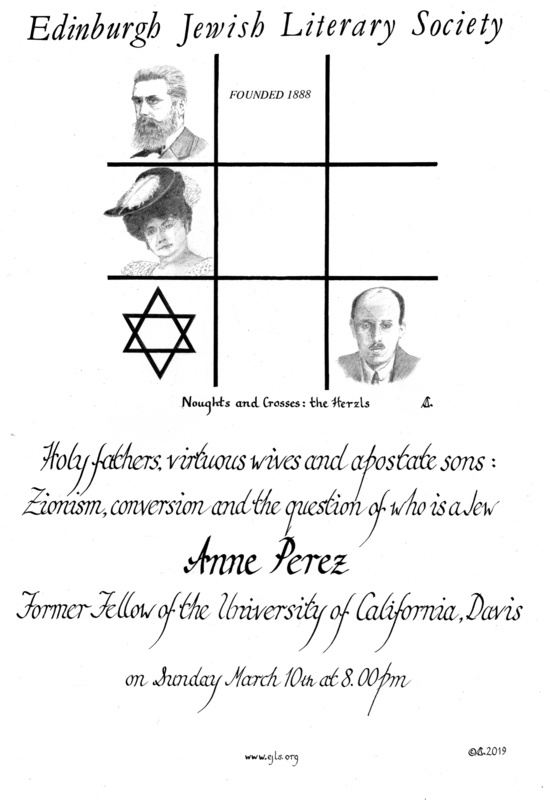 Anne Perez earned her PhD in History from the University of California, Davis in 2018, during which she was a doctoral fellow of both the Posen Foundation and Israel Institute. While her dissertation focused on conversion and the Zionist movement, her wider research interests deal with the intersections of religion and nationalism especially in contexts of conflict and inequality. Her article “Apostasy of a Prince: Hans Herzl and the Boundaries of Jewish Nationalism” has been published in the Association for Jewish Studies Review. She currently resides outside Edinburgh.